The positioning of your teeth has an impact on your oral health as well as your aesthetic appeal. With straighter teeth, you’ll have a smile that looks more pleasant, and teeth that are easier to keep clean. Once your teeth are straightened, there are fewer nooks and crannies between your teeth where bacteria can hide from the toothbrush. At Weybridge Orthodontics we provide a variety of contemporary tooth-straightening treatments for anyone who’s curious about orthodontics in Weybridge. Whether you want to make a small adjustment to a few teeth, or a more comprehensive one, we can offer you an efficient and discreet solution. Comfort is high on the list of features of modern aligners and braces. They’re designed to suit your condition and made of low-visibility materials. We’ll discuss the various types of orthodontics in Weybridge with you when you come in for a consultation. We can then examine your teeth, take some careful measurements, and offer you the most convenient way to carry out the transformation you want. Six Month Smiles aims to fix your most visible teeth. It makes relatively small but effective adjustments by applying gentle pressure. It often brings results in a shorter time than other sorts of orthodontics in Weybridge, hence its name. Invisalign might be the best thing for you if your repositioning needs are mild to moderate. This innovative solution requires you to wear a series of transparent plastic aligners. You’ll wear a pair of these almost-invisible appliances over your teeth for 7-10 days, before moving on to the next pair in the series. Each aligner differs very, gradually pressuring your teeth to move into better orientations as treatment progresses. Orthodontics in Weybridge also involves traditional braces that use wires and brackets attached to your dental surfaces. These can be made of materials that mimic the colour of your teeth and thus remain hidden. Alternatively, in the treatment known as Incognito, the braces can be affixed to the reverse sides of your teeth. Having orthodontics in Weybridge will enhance the alignment of your teeth, improving your overall dental experience. This entry was posted in Orthodontics on 17th August, 2018 by Weybridge and Kingston. Could orthodontics in Weybridge make all the difference in your life? We all striving to be happy, healthy and secure. Most of the time, we drift along at a level that is a percentage of what we want. Having this gap between the life we have and the life we want is part of what motivates us as human beings. We like to strive for things. However, to keep things fun and interesting and to give us a bit of momentum, occasionally we need to cross things off our bucket list. Otherwise, the things we haven’t done start to become a burden. A lot of people have some sort of refinement to their look on their list. Nobody’s perfect after all and while we can all be content in who we are and what we have, we can also make refinements now and then. Did you know that one of the refinements that you can make is crafting your smile? We sometimes think of our teeth as fixed and unchangeable. After all, they have to be pretty solid to do their job. At Weybridge Orthodontics, we know how to get those teeth to shift around into optimum positions for your look while still retaining their durability and functionality throughout treatment. Orthodontics in Weybridge can set off your look with the help of braces or other types of teeth straightening equipment. The best way is to see what we can do about getting you one step closer to the life you want with orthodontics in Weybridge, all you need to do is book an appointment for a consultation. This doesn’t obligate you to go forward with any treatment, but it does give us the chance to talk to you about what we can achieve. It may be easier than you think to give your smile a boost. We have an extensive range of teeth-straightening brands that we work with on a regular basis. Some of these are super-discreet, while others can give you a great look in a really short space of time. Many of our options do not even require you to have fixed braces put in place. You don’t know what’s possible until you try, so get in touch soon to see what Weybridge Orthodontics can do for you. This entry was posted in Orthodontics on 25th July, 2018 by Weybridge and Kingston. If the poor alignment of your teeth is getting you down, but you don’t want to spend ages wearing highly visible braces, you might want to consider Invisalign in Weybridge. At Weybridge Orthodontics, we’ve provided Invisalign for many years. We’ve seen how it can transform your dental alignment without causing social discomfort. It uses transparent plastic to stay hidden, and meticulous design to provide great results. Invisalign in Weybridge is effective for a variety of realignment needs. At your initial consultation, we’ll have a look at your teeth and determine whether it’s an appropriate solution for you. Then we’ll use 3D imaging software to capture some detailed measurements of your mouth. Based on these measurements, a dental laboratory will produce for you a series of aligners, made of transparent plastic. You’ll wear the first pair of these aligners for 7-10 days, then the next pair in the series for another 7-10 days, and so on until the end of the treatment. Each aligner’s shape is subtly different to the one that came before it, so the alignment of your teeth gradually changes. Wearing Invisalign in Weybridge will straighten your teeth in a convenient and discreet fashion. The aligners are very transparent, so they don’t draw attention to themselves. Plus, they don’t need to be attached to your teeth. You can therefore take them out of your mouth at mealtimes, or when it’s time to take care of your oral hygiene. Usually, our patients spend 12-18 months wearing Invisalign in Weybridge. This might be longer or shorter in your case, depending on how much adjustment we need to achieve. Once you’ve removed the final pair of aligners, you’ll need to use a retainer. You wear this while you sleep, and it ensures that your teeth stay firmly in their new positions. The benefits brought to you by Invisalign in Weybridge will last for many years. You’ll enjoy improved dental comfort, better oral hygiene, and a more appealing smile. The risk of developing gum disease and tooth decay will be lower, because it’ll be easier to keep your teeth clean and fresh. This entry was posted in Invisalign on 20th July, 2018 by Weybridge and Kingston. To get what you want from your dental practice, you need to have enough information to know which treatment is right for you. If you have a gap in your teeth, for example, can you solve it with veneers or do you need orthodontic treatment? Weybridge Orthodontics is here to guide you through the different treatments that we offer. We can give you basic information on how your treatment will work and the benefits you will experience, or we can go into much more detail with you if you think that will help you make the best choice for you or a member of your family. We can help you match your procedure to your budget and ensure that it fits in well with your lifestyle needs. Our team are well trained in many methods of smile improvement, so you can take advantage of our treatment range. What are orthodontics in Weybridge for? Orthodontics are used to align the teeth. People have misaligned teeth, gaps or an irregular bite for lots of reasons. Some of these are genetic while others might be due to habits or issues while the teeth were growing. Once most of the adult teeth are through, we can begin to address issues with the alignment of the teeth at Weybridge Orthodontics. You can also choose to work on the shape of your smile as an adult. Sometimes, orthodontics in Weybridge are used for cosmetic reasons. In other cases, there may be a clinical reason for teeth straightening such as preventing damage to the teeth, or pain relief. What types of straightening treatments are available? When you have consultation for orthodontics in Weybridge with us, we assess your needs and let you know which of our equipment choices might be right for you. After that, it’s up to you which you want to work with. This entry was posted in Orthodontics on 13th July, 2018 by Weybridge and Kingston. 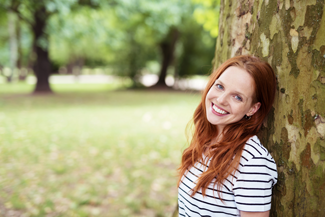 If you are tired of having wonky teeth and are looking for a solution that won’t interfere with your appearance, here are a couple of options available to you in Weybridge. Invisalign and Incognito are modern types of brace systems that deal with straightening things up in a concealed way. Both are difficult to see once in your mouth. This is great news for anyone who has been holding back from getting their teeth straightened because they hate the idea of having glaringly obvious metal braces in their mouth. So what’s the difference between Invisalign and Incognito? Incognito braces are worn behind the teeth where they can’t be seen. These customised braces are made of metal and use wires, so they are similar to traditional metal braces. The difference being that they are hidden behind your teeth. They are fixed on, you can’t remove them. Weybridge Invisalign braces are thin, clear plastic aligners that are worn over the teeth. They are also customised, but use no metal brackets or wires, these are totally different to traditional metal braces. They are more similar to the retainers people wear after they have had braces. Incognito braces are removable, take them out to eat, or when you clean your teeth. 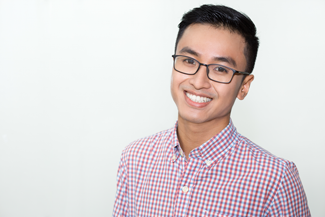 If you would like to improve your smile with invisible braces, Incognito or Invisalign in Weybridge could be for you. This entry was posted in Invisalign on 11th July, 2018 by Weybridge and Kingston. 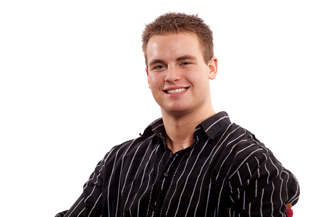 The practice of orthodontics in Weybridge addresses the alignment of your teeth. If you have a misaligned smile, the likelihood is that you will need to utilise some sort of equipment to set things right again. When you come for a consultation for orthodontics in Weybridge at Weybridge Orthodontics, we help you choose the equipment that is right for you. Sometimes, we need to recommend a specific solution as the best one to tackle your issue. At other times, you may be able to choose between some of the leading dental brands like Damon, Invisalign, Incognito or Six Month Smiles. Whether you choose fixed braces or a removable option, you will need to take care of your teeth and equipment in specific ways when you get home. Advising you how to do this is part of the service that we offer when you have orthodontics in Weybridge. You wear fixed braces for the duration of your treatment. This means that you may need to modify your food choices a little. You only need to avoid very hard or sticky foods as these can damage your braces. You may also choose to avoid mushy, fibrous foods or those with a dense texture as these can get stuck in your braces and make them difficult to clean. To progress your treatment with fixed braces, all you need to do is prevent damage to your equipment and visit your dentist regularly for a check-up and adjustment. In some ways, removable aligners are easier because you take them out to eat. This means that you can eat whatever you like. However, you also need to reinsert your aligner as soon as possible and make sure that you brush your teeth before you do. This means that you need to carry cleaning equipment with you at all times. You may wish to invest in a small travel toothbrush kit to help with this. Removable aligners are given to you in a series. You need to work you way through the sequence to achieve the results you want. Your dentist will give you the interval time for changing your aligners but you need to responsible for making the swap. This entry was posted in Orthodontics on 27th June, 2018 by Weybridge and Kingston.